You can expect an audio blog every Thursday, monthly ERI updates, and occasional live speech/Q&A audios. Pretty soon we’ll also start featuring regular 3-5 minute snippets from the Equipped for Life Course Podcast as well. 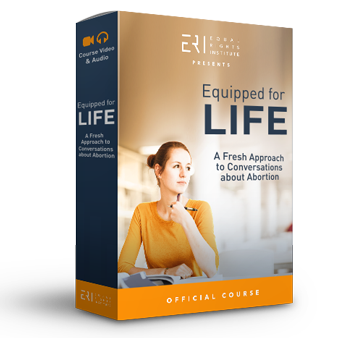 I give an update on what’s been going on behind the scenes at the ERI office, regarding recent speaking trips, making the video series analyzing “Reversing Roe,” and an update on the sidewalk counseling course. 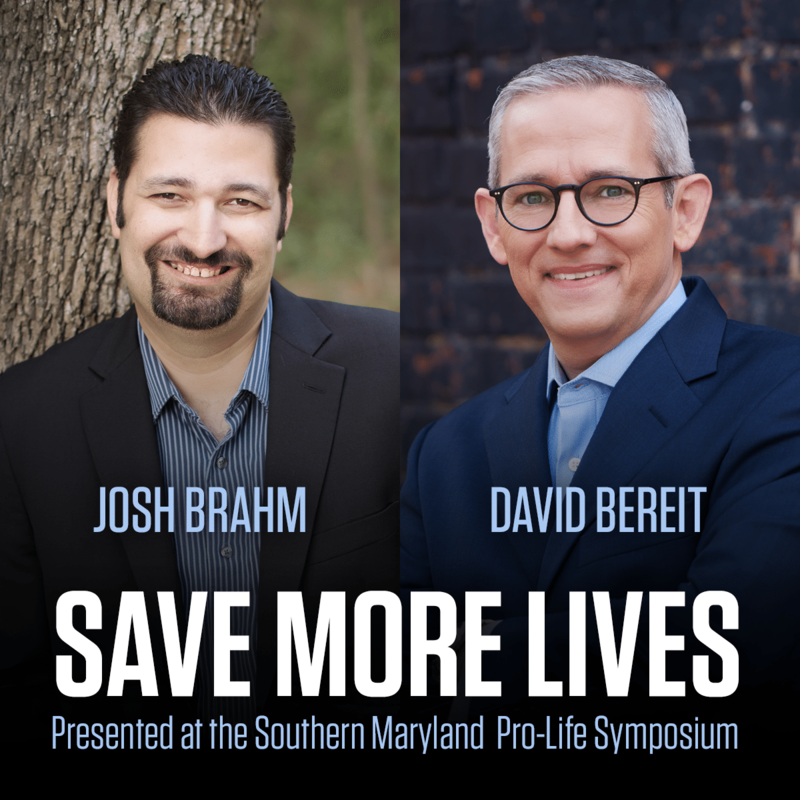 In November of 2017 the Holy Family Respect Life Committee, in conjunction with Charles County Right to Life, invited Josh Brahm and David Bereit to speak at their annual pro-life conference in Southern Maryland. After the keynote sessions, Josh and David did a panel discussion and Q&A, joined by Michele Hendrickson, Capital Area Regional Director for Students for Life of America and Heather Sells, CEO of the Catherine Foundation, a local Pregnancy Resource Center. 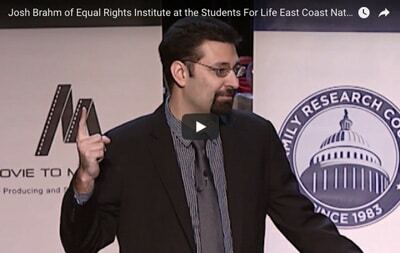 The panel discussion was hosted by Ali Rak from the Southern Maryland Pro-Life Symposium. Prefer listening on your phone? 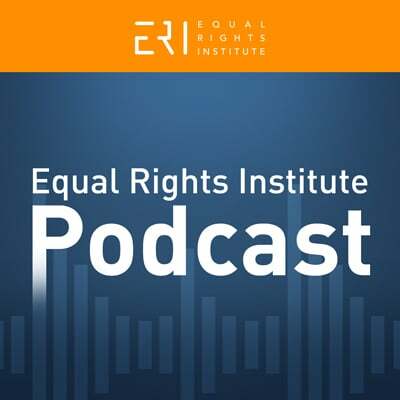 You can easily download the whole conference by subscribing to the ERI Podcast in the iTunes Podcast app on your phone. Josh shares seven practical dialogue tips (including two that he’s never taught before!) as well as explaining how to use the Equal Rights Argument to change minds about abortion. David shares the story of how he got involved in the pro-life movement in spite of being an unlikely activist and encourages the audience to become more active in the pro-life movement, including practical advice on how to find your pro-life lane and get plugged in. Apologies for occasional audio issues in the panel discussion. They used tabletop panel discussion mics and when Heather would turn her head away from the mic sometimes her mic sort of cuts out. We’ve made some edits where possible, and you can always get the gist of what she’s saying. 1:29: From your standpoint, what does the pro-life movement need to do to become more effective? 16:00: What should pro-life advocates avoid and what hurts our cause the most? 31:00: What is access to abortion like in Southern Maryland? Where does a woman who is abortion-minded go to terminate a pregnancy? How many of them tend to go to the local Pregnancy Resource Centers? Paint a picture of what it’s like to be in crisis in Southern Maryland. 35:49: What does counseling an abortion-minded woman look like in your Pregnancy Resource Center as opposed to sidewalk counseling where you often only have a moment to start that conversation? 43:39: How are college and high school students shaping the pro-life movement? How do we get more youth involved, and why should there be a Students for Life club at every school in the country? 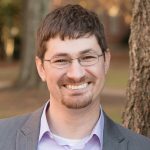 51:26: Josh, as a “connoisseur of good arguments and gracious conversation,” how can pro-lifers use Facebook and social media as a force for good? 56:06: How do we build the pro-life community locally, one that is engaged and motivated toward action, rather than just being pro-life? 1:04:53: Can we learn anything from the effectiveness of the gay marriage movement that we can apply to our movement? 1:09:55: It seems like there is so much emphasis these days on individual rights, where for some people, even if they personally feel like abortion is wrong, they don’t feel like it’s their place to speak out against abortion because they don’t want to offend someone. How do you get beyond that? 1:13:10: You said that you don’t approach this issue from a religious standpoint, and I’m struggling with the idea of stopping at the concept of equal rights because I think equal rights come from a religious standpoint. I’m assuming you talk to lots of college students who don’t believe in equal rights. How do you deal with that without getting into the religious aspect that we’re created in God’s image and not a product of evolution? 1:19:32: Josh, you mentioned utilitarianism. Can you explain what that is and how it might come up in abortion conversations? 1:21:33: I was really struck by a statistic that was shared about one in four women in church having had an abortion. How can we effectively express that graphic imagery and very strongly worded signs almost create a PTSD kind of moment for a lot of women who have made a very difficult decision in their lives, and would like to be involved in the pro-life movement, but can’t abide by being in that presence? How do we overcome that obstacle? Timothy Brahm for the ERI Blog: Abortion Images: A Case for Disagreement without Division. Live Speech Audio from Timothy Brahm: Using Digital Media to Save Lives. Josh Brahm for the ERI Blog: Understanding What Richard Dawkins Actually Believes About Abortion and Down Syndrome. Josh Brahm for the ERI Blog: Richard Dawkins Retweeted My Article, and What We Can Learn From That. For more on utilitarianism, read Timothy Brahm’s recent article, Thanos Would Be Pro-Choice. 07:18 – Introduction to my project to help pastors prevent abortions in their churches. Timothy Brahm explains how now more than ever, pro-choice advocates are turning to the back alley abortion argument. Watch this video to learn how to respond graciously and persuasively. Click here to follow Timothy on Twitter. I give a mini ERI update because we’re making some changes that will impact the ERI podcast schedule. 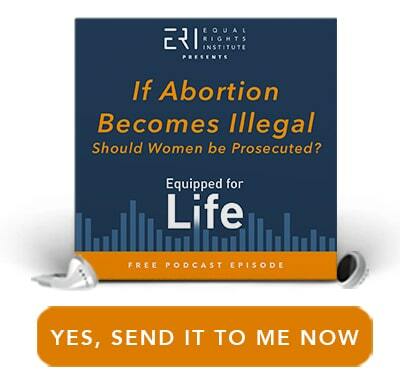 Click here to subscribe to the ERI podcast in iTunes.